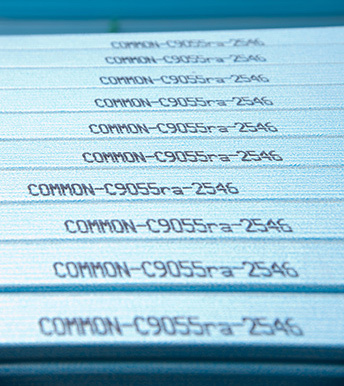 Smartsteel provides coding that is permanently branded onto each steel section and frame. This coding is determined at the design process and is provided to assist personnel in the assembly or construction process. Each code matches the information provided on the assembly drawings so personnel can identify what the part is and where it is intended to be used in the structure.